Laura Powers is a Celebrity Psychic as well as an author, host, and creative entrepreneur. She enjoys helping her clients make beneficial changes to transform their lives. Laura Powers is a celebrity psychic who has been featured by Buzzfeed, NBC, ABC, CBS, FOX, Motherboard Magazine by Vice, and many other media outlets. She is currently in pre-production for a new television series about her work. She is a clairvoyant, psychic medium, writer, actress, model, producer, writer, singer and speaker who helps other receive guidance and communicate with loved ones. Ever since she was a child, Laura has seen and sensed ghosts and spirits and she has learned how to manage those experiences, using this ability to connect with the angelic and other realms. She now uses her experience communicating with angels, spirits, and other energy beings to help her clients better understand and change their lives. Prior to her work in this field, she studied theater at the University of Colorado and has a master's degree in political science and has worked and explored in the political, spiritual and creative realms. She has worked in politics, government, higher education, and as an actress, cabaret singer, and burlesque performer. Laura also works as a ghost whisperer, and paranormal communicator. Though Laura has always sensed the spiritual realm, it was not until adulthood that she opened up to her gifts and a life-crisis in which she was unemployed, going through a bad divorce, and physically ill. It was during the crisis that she shifted and opened up her focus to the spiritual realm and her life dramatically transformed from there. She started her company Healing Powers as a part of a personal healing journey with the goal of helping others find the resources and tools for self-healing. Laura is the author of seven books and her new book, Archangels and Ascended Masters is out now. She is working on the eight and ninth books, Celebrity Channeled messages and her work with Pets and Animals. Her first book, Life and the After Life: Notes from a Medium and Angel Communicator chronicles Laura's journey growing up as a girl who sensed ghosts and spirits and other beings. The book tells her personal journey in order to help others have a better understanding of the other side and better navigate through life with this knowledge. Her second book Angels: How to Understand, Recognize, and Receive their Guidance is a practical handbook for those desiring to learn about angels and receive angelic assistance and support. 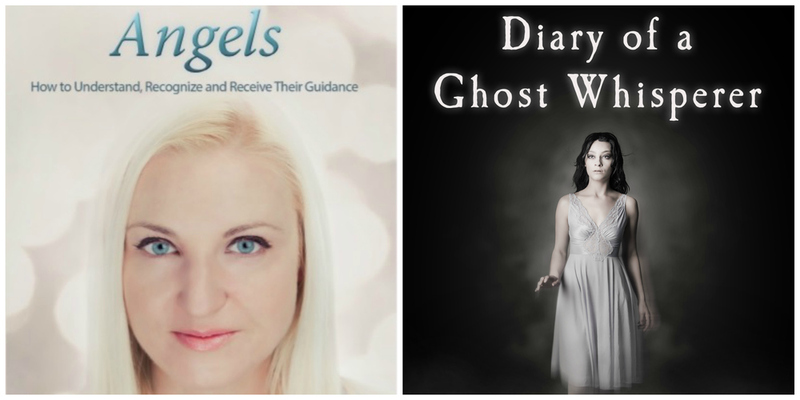 Her book Diary of a Ghost Whisperer tells true stories about her work and her life with ghosts, spirits, and beyond. Her book Angels and Manifesting shares practical and simple manifesting tips for how to transform your life with the angels. Diary of a Psychic tells shares stories about past lives, narcissists, and health and wellness tips for empaths. Her book Supernatural Survival Guide shares helpful tips on recognizing and dealing with various supernatural creatures from zombies to demons and vampires. Laura served as Supernatural Advisor for DeVour Magazine. She also hosts a podcast, Healing Powers Podcast, on which she interviews experts on healing, metaphysical and spiritual topics. Laura works with clients through private sessions, events and classes, and through her books and audios which are available on Amazon. You can email her at bookings@laurapowers,net or call her 310-598-7871 for more information.